Improve the overall interior design of your living room, dining room, or hallway with this Safavieh Courtyard area rug. Designed as an indoor/outdoor piece, its plush synthetic material will make you feel cozy and comfortable. The machine-made construction of this rug makes it high-quality and durable. Quality comes first in this border patterned beige tan rug. 6 ft. 6 in. X 9 ft. 6 in. Courtyard Kelly Natural / Brown 6 ft. 6 inch x 9 ft. 6 inch Indoor/Outdoor Area Rug Improve the overall interior design of your living room, dining room, or hallway with this Safavieh Courtyard area rug. Designed as an indoor/outdoor piece, its plush synthetic material will make you feel cozy and comfortable. The machine-made construction of this rug makes it high-quality and durable. 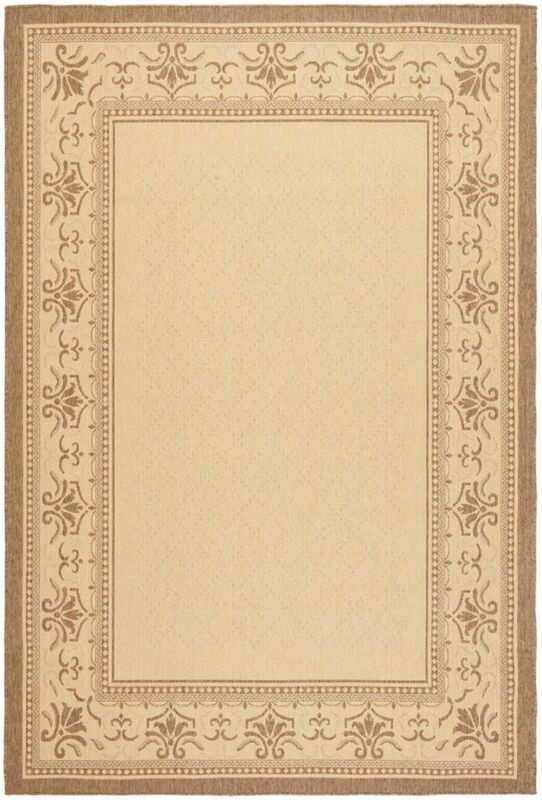 Quality comes first in this border patterned beige tan rug.